Does Florida Have Estate Tax? One of the most important aspects of planning your estate is tax minimization. You want to minimize any estate tax, or inheritance tax, that will need to be paid. No one has a patriotic duty to pay more taxes than is required, so why wouldn’t you do your best to minimize your estate tax? The good news for Florida residents is that there is no such thing as estate tax under Florida law. The bad news is, however, that the U.S. federal government does have an estate tax. This is sometimes referred to as the death tax or transfer tax. When gifts are made to grandchildren, the tax is called a generation-skipping transfer tax, or GST tax, which is in addition to the regular estate tax. The U.S. government, through the Internal Revenue Service or IRS, will tax you when you give away your property. So, does that mean if you make a gift to someone you could be penalized with estate tax? The answer is, potentially, yes. The Treasury Department, through the IRS, enforces procedures and rules for all sorts of taxes, including estate tax. That is why it is important to understand what may be taxed upon your death and what may be taxed when given as a gift. 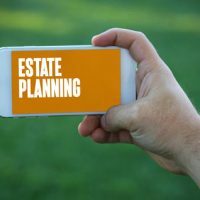 To put it simply, gifts made during your life may be taxable, but technically not taxed, and property given away at your death through your trust or estate will most likely be subject to estate tax. Gifts made during your lifetime are also referred to as “inter vivos” gifts. These should be reported on federal IRS tax form 709. This is different from the U.S. estate tax form 706. When you die and leave assets behind, those assets must be reported on the estate tax form and may be subject to taxation. Certain gifts during your lifetime may be able to be free of taxation. The amount of the gift that you can give away per person in 2018 is $15,000, and there is no limit as to the number of people that you can give that gift to. You can pay a nearly unlimited amount of medical or educational expenses free of the gift tax, but it’s important that you pay the institute directly. If you write a check to your kids or grandkids, the gift will be subject to taxation. Gifts between spouses can also be given without fear of paying a gift tax. Do you know how your assets and money will be administered or managed upon your death? Will your hard-earned money be managed the way you want it to be and be given to the people of your wishes? Nearly everyone has an estate, even if it’s just a house and a car or two. Personal property, retirement accounts, and life insurance should also be planned for in your estate plan. The laws surrounding estate planning and taxation can be complex and confusing. That’s why it is important to contact an experienced estate planning attorney to help guide you when planning your final wishes. Tampa attorney David Toback has the experience and knowledge to be sure your assets are protected the way you would want. Contact him today to schedule a consultation.